Hello guys! I’m so excited to be guest blogging for my little sister today! 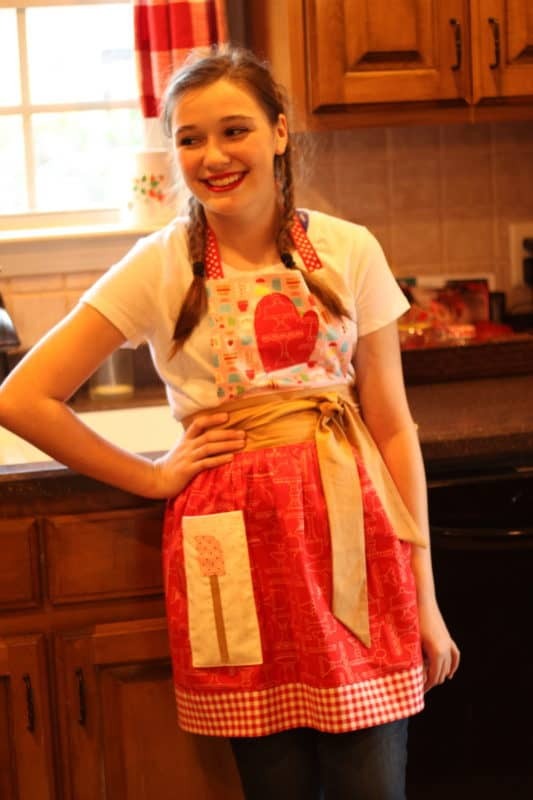 Made for Mermaids was invited to participate in the Riley Blake Bake Sale 2 Block Party, but Megan hasn’t caught the quilting bug yet. As a veteran quilter and long time Lori Holt fangirl, I was thrilled when she asked me if I wanted to do it. 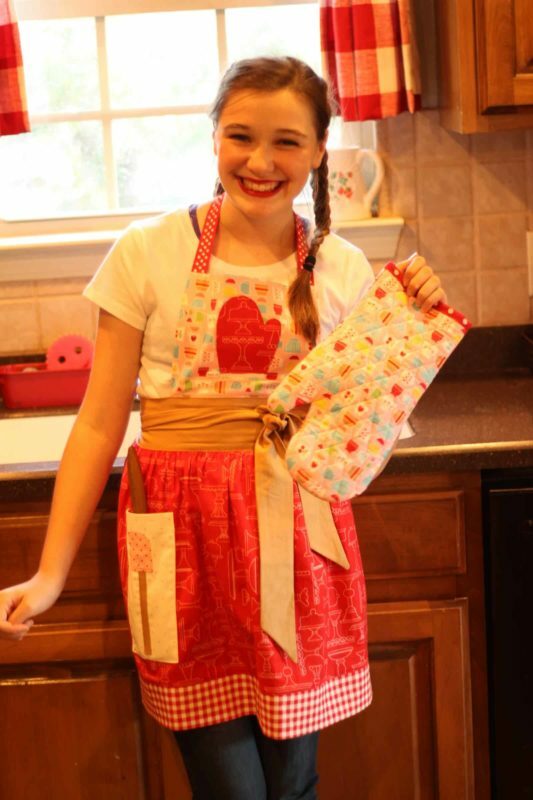 Lori is hosting a Let’s Bake Sew a long on her blog Bee in my Bonnet. 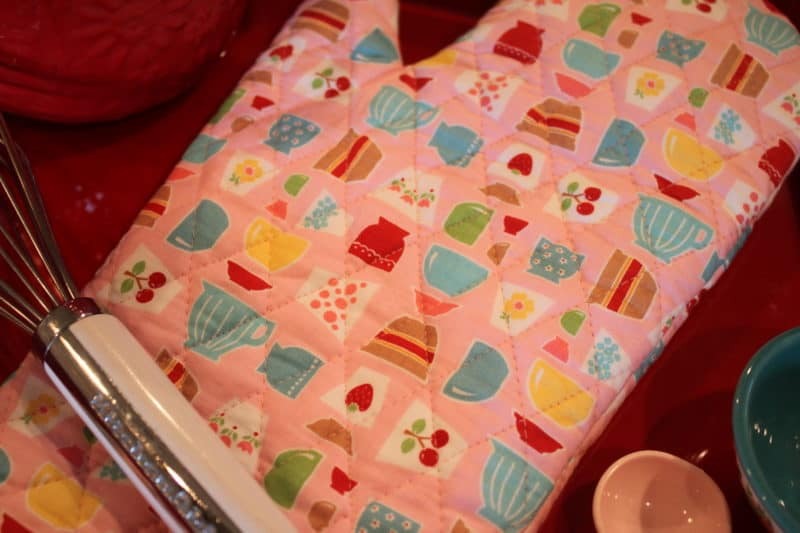 The quilt pattern is free, and all you need are the Let’s Bake Templates. I just LOVE the Bake Sale 2 Fabrics! They are perfect for the Made for Mermaids Annie Apron (available in the freebies section). 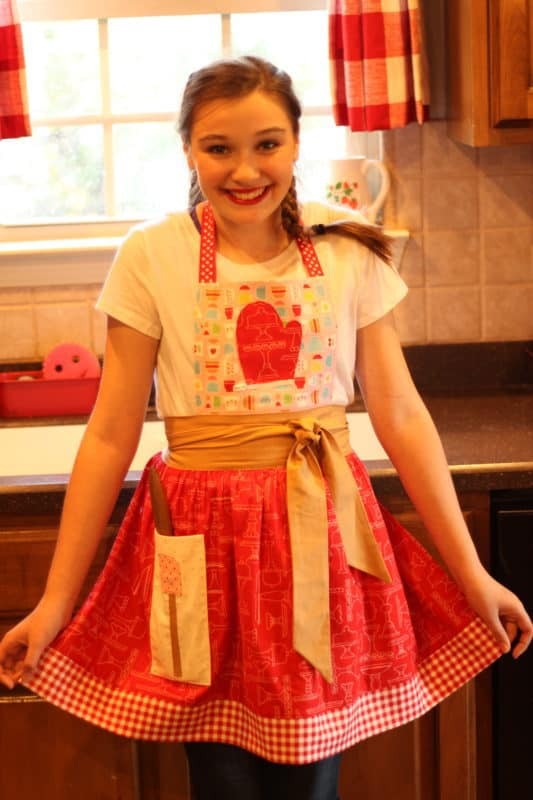 We made a size 10-14 for Ella and used the templates to make some sweet appliques on the apron. This was my first time using Lori’s templates, and I love them! The templates are made from sturdy plastic and are easy to trace around, sew, and turn right side out- making the perfect shape. 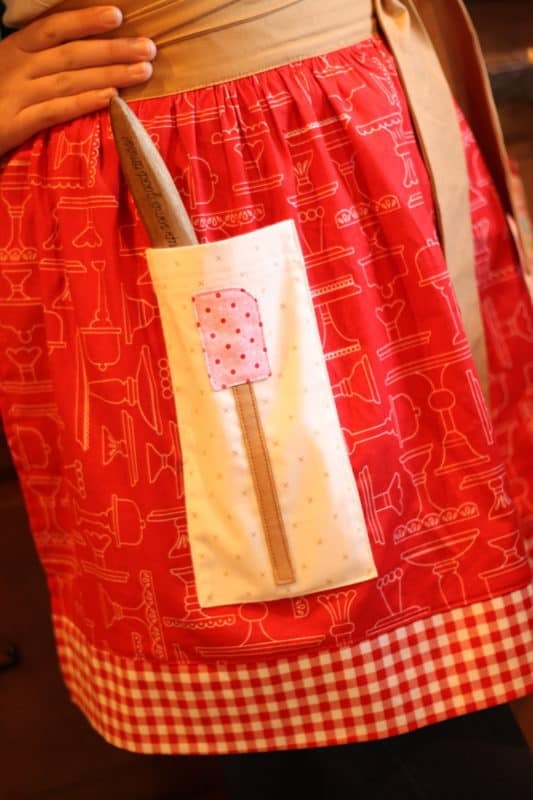 The applique on a pocket makes the cutest little spot to hold your spatula. 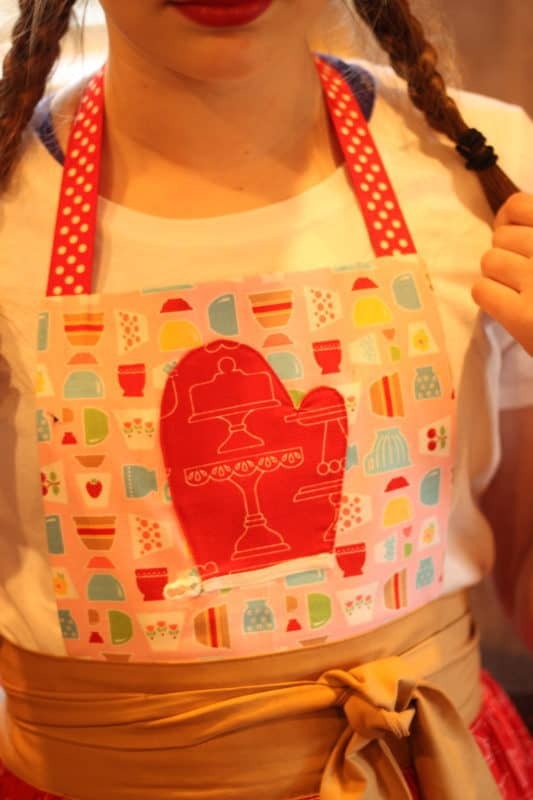 We used the oven mitt on the bodice as a sweet applique. We also made a matching Made for Mermaids oven mitt (pattern also available in the freebies section)!This was my first time making an oven mitt, but it certainly won’t be the last! It was so simple and fun, and the fabric is just perfect. I’m a sucker for anything pink and red! 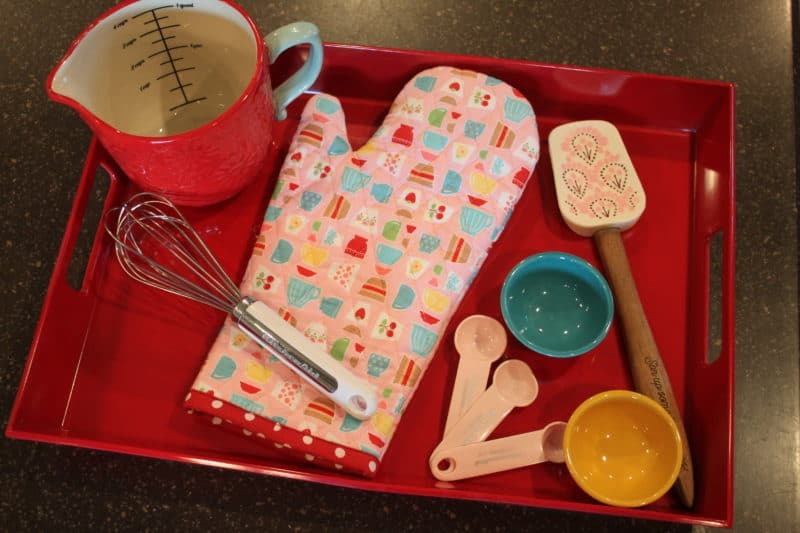 Ella loves to bake and I’m so happy that she’ll be doing it in style now. 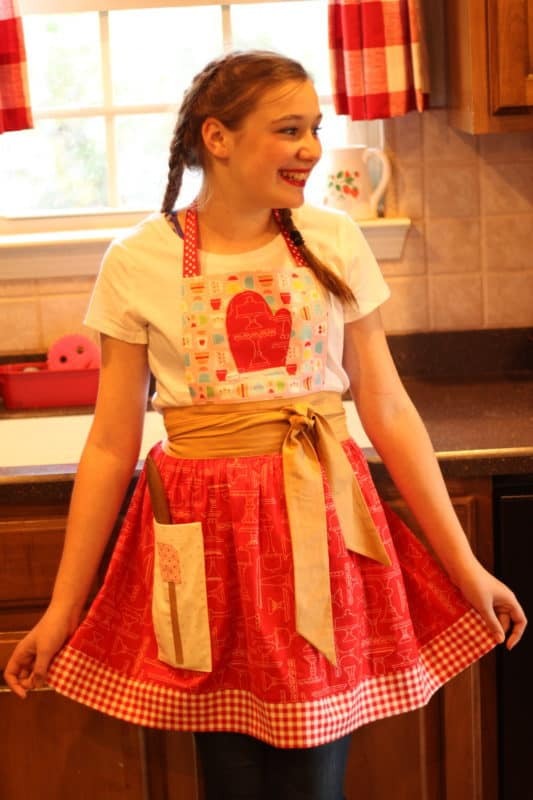 The Annie apron is so fun and quick; the only change I made was to add a band to the bottom of the skirt portion, because I wanted to be able to use more of these gorgeous prints. Nicole is Megan’s big sister, and the owner of Cole’s Corner and Creations where she sometimes designs patterns and used to blog. She loves to sew and quilt!